CBS News/Talk 100.5 KXNT-FM Las Vegas has broken off its simulcast of 840 KXNT and flipped to Rhythmic Hot AC “Q100.5“. 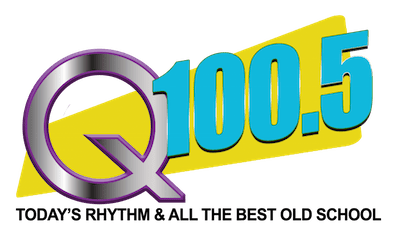 After an hour long stunt redirecting KXNT listeners to 840, “Q100.5” debuted at 9:00am with Montell Jordan’s “This Is How We Do It”, Rob Base & DJ EZ Rock “It Takes Two” and Justin Timberlake’s “Rock Your Body”. The new format is being positioned as “Today’s Rhythm And All The Best Old School”. INSTANT INSIGHT: While a Rhythmic Hot AC format would be a good fit for the Las Vegas market, we’re not sure it would be a great fit for the CBS Las Vegas cluster that already includes Hot AC “Mix 94.1” KMXB and Rhythmic CHR 98.5 KLUC. That is a very tight squeeze. Additionally the “Q” moniker is already used in the market on Kemp Communications’ “Q106.9” KVGQ so it will be interesting to see if/how CBS plans to rectify that. Or is this not the final format we’ll see after the holiday weekend? Playlist very similar to that of Entercom’s Q102 in SF. Maybe the “Q” is paying homage to that station? So Las Vegas picks up a Rhythmic Hot AC and a R&B/Hip-Hop on the same day. This will be interesting to see.